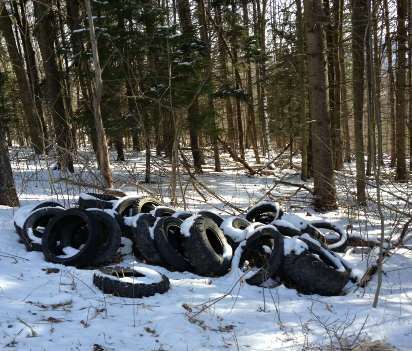 Those caught illegally disposing of their trash in Tompkins County may face fines of between $50 and $500 and/or jail time of up to 15 days and/or community service for the first offense. They are also liable for the cost of proper disposal. Illegally dumped trash may contain hazardous material, which poses a threat to public, livestock and environmental health. Illegal dumping also costs money to prosecute and clean up. Often times, there is identifying information contained within the discarded material that can lead to the person or persons responsible for dumping trash. If you are experiencing illegal dumping, contact your local police department or the Recycling and Materials Management office. 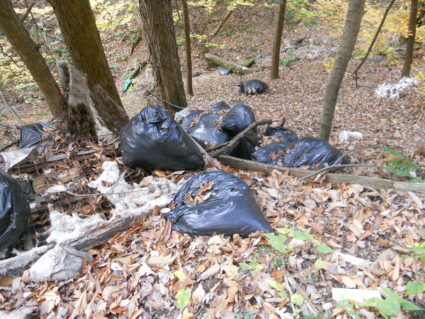 Read the laws and regulations pertaining to trash disposal in Tompkins County Here.